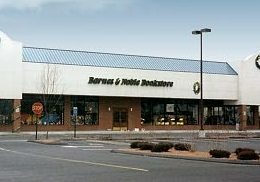 Customers of the Barnes & Noble in Norwalk, Conn., that just announced it will close on January 31 have set up a "Save the Norwalk Barnes & Noble" Facebook page to gather signatures and lobby against the closing, hamlethub.com reported. The petition reads: "We the undersigned hereby affirm the need to save Barnes & Noble from leaving Norwalk. "It has recently been stated that the establishment that resides on Connecticut Avenue will be gone by the end of the year. That can not happen. Barnes & Noble is a place where students and adults can go to buy books, study, and relax. By removing Barnes & Noble, where would they go? The library? The Park? Stamford? Barnes & Noble is needed in Norwalk, and we, the people, need it." Katerina Begetis, co-founder of the local book group "Literary Soul Mates," told hamlethub.com that the closure "is a huge loss for the city. Our group has been meeting here for almost five years, and I know I speak for many when I say nothing can replace it. There is no other atmosphere for book lovers in Norwalk like Barnes & Noble." 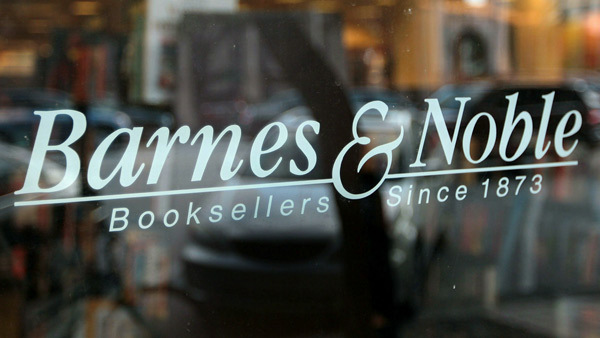 Both the New York Times and Wall Street Journal offered stories about Barnes & Noble's holiday strategies, emphasizing that the company needs to reverse declines in customer traffic in stores and in comp-store sales. The Times emphasized B&N's Black Friday program whereby some 100 authors, including Donna Tartt, David Mitchell, Dan Brown, E.L. James, Jeff Kinney, George W. Bush and Hillary Clinton, each have signed some 5,000 copies of their current books--about 500,000 altogether--that are being distributed among the chain's more than 650 stores. 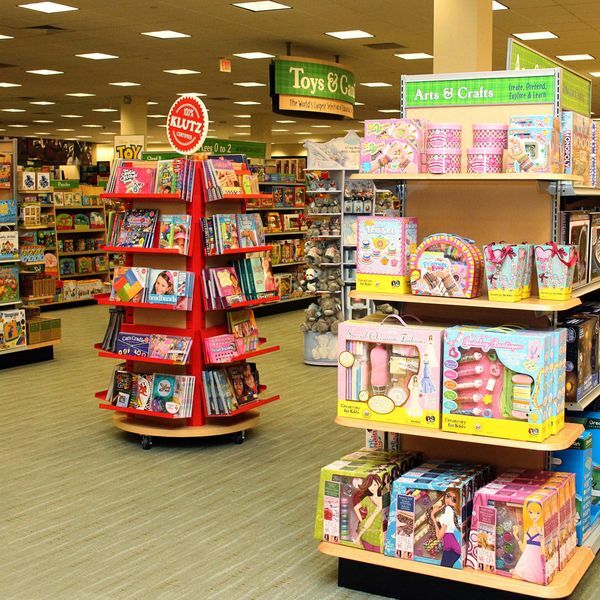 "The goal was to find an exciting reason for people to come to Barnes & Noble early in the morning and get something that they can't get on any other day of the year," Mary Amicucci, v-p for adult trade and children's books, told the Times. David Baldacci said he hoped the effort would help B&N better compete against Amazon. "You can go online and buy any book you want, but there's not a lot of excitement with clicking the buy button." ABA CEO Oren Teicher told the paper that author appearances and signed books are among the best weapons bricks-and-mortar stores have to compete with online retailers. "Books are identical no matter where you buy them," he said. "You don't get a different or better ending if you buy them from us." The Wall Street Journal emphasized B&N's addition of more sidelines to the merchandising mix in its stores, including a new table in the front of stores called "10 Most Inspired Gifts." This includes such items as popcorn makers, craft beer kits with grain, hops and yeast, and portable turntables for vinyl records. The paper noted that toys and games are the company's fastest-growing category and include science-related products, Lego kits, and books and products related to Dr. Who, Minecraft, Frozen and Game of Thrones. In response to a campaign by Let Toys Be Toys/Let Books Be Books, Ladybird Books, a U.K. imprint of Penguin Random House, will stop publishing titles labeled "for boys" and "for girls," The Bookseller reported, noting that other publishers who have made a a similar decision include said Usborne, Parragon, Chad Valley and Dorling Kindersley. A spokesperson for Ladybird told Let Toys Be Toys: "Following discussions, should any of the titles you mention be reprinted for the trade we will be removing this labeling. At Ladybird we certainly don't want to be seen to be limiting children in any way. Out of literally hundreds of titles currently in print, we actually only have the six titles you cite with this kind of titling, so I do feel we offer a vast range for children and their parents. "As Ladybird is part of the Penguin Random House Children's division, our commitment to avoiding gendered titles in the trade crosses all our imprints. " Francesca Dow, managing director of Penguin Random House Children's, added that the company is "all about great storytelling and we don't wish to publish anything that limits a child's imagination. Children should be free to use their imaginations to find the best stories for them." 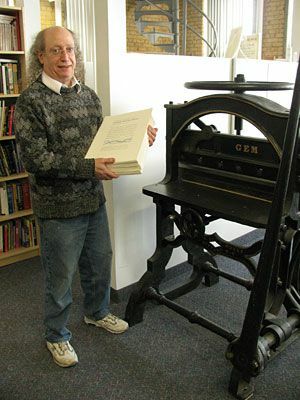 In 1972, Allan bought a letterpress for $35 at auction, put it in Anselm Hollo's garage, and founded Toothpaste Press. By 1984, Toothpaste had relocated to Minnesota and become Coffee House Press. Today, we celebrate Allan's legacy: more than 400 books published, innumerable careers begun and nurtured, and every dog-eared page and underlined passage he brought to a reader. Allan's influence extended beyond the books he worked on--for 42 years he championed new voices and new publishers and fought tirelessly to get them the attention they deserve. It was a lifetime of service not only to literature but also to the field of publishing, of which he was a devoted scholar. Whether it was choosing just the right font, navigating the changing marketplace of bookselling, or understanding the historical pattern of the changes in printing technology, his wisdom and devotion was unmatched. I worked for and with Allan for almost 20 years. He hired me first as a letterpress intern, guided me as an editor, and trained me to be a publisher. He was not only a mentor--he was a friend and a father figure, and I wouldn't be who I am without him. I will miss him. Image of the Day: A Toast to Drink L.A.
Traveler's Bookcase, Los Angeles, hosted a launch party for Drink L.A. (Prospect Park Books), a guide to the city's beverage purveyors--pubs, cocktail bars, coffeehouses, wine bars, dive bars, tea houses, juice cafes and more. For the occasion, Ray's & Stark Bar provided a special cocktail, and beer tastings came from Smog City Beer and Stone Brewing Company. Pictured: (l.-r.) Drink L.A. contributor Alex Sayles; Traveler's Bookcase owner Natalie Compagno; Drink L.A. contributor Pat Saperstein; editor and Prospect Park Books publisher Colleen Dunn Bates; Drink L.A. contributor Elina Shatkin. "What happens when a group of booksellers try to film a 30-second YouTube spot explaining our new Personal Shopper program? You get an epic 16-minute film," wrote Left Bank Books, St. Louis, Mo., on Facebook. And now, for your holiday viewing pleasure, we invite you to enjoy "the whole sordid story." The 'Crazy, Beautiful, Idiosyncratic' Bookstores of L.A.
"Los Angeles has glorious beaches, stunning cityscapes and more than its share of highly photogenic human beings. 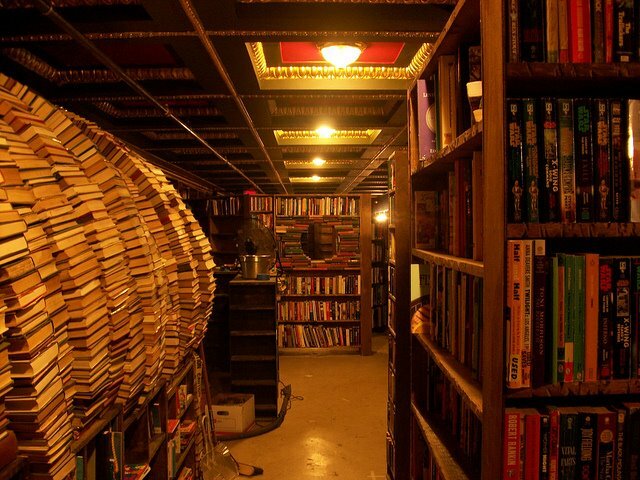 And though it may not be known for its bookstores, they too are out of this world," Jacket Copy observed in showcasing some of the city's "crazy, beautiful, idiosyncratic bookstores." Noting that "some are extraordinary and unusual" while others "are humble or handsome," Jacket Copy wrote that what "these diverse shops share is a pride of ownership. 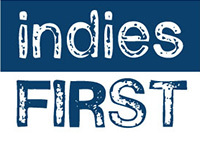 They're all independents, run by people who believe in print books, no matter what any futurists may say." Bookstore Field Trip: 'Season's Magic' in Eugene, Ore.
Brian Juenemann, marketing director for the Pacific Northwest Booksellers Association, helped the Register-Guard's readers "discover season's magic on a bookstore field trip" to Eugene, Ore., with stops at Black Sun Books, Blue Moon Books, Star Gate, Second Hand Prose and the Duck Store. "I knew I had unchecked boxes on my ideal itinerary, but there are only so many column inches and so many places to which my kids will let me drag them over a weekend--even when those places are bookstores," he wrote. Star Wars Costumes: The Original Trilogy by Brandon Alinger, forewords by John Mollo, Aggie Rodgers, and Nilo Rodis-Jamero (Chronicle Books). Screenwriter Peter Straughan (Tinker Tailor Soldier Spy, The Men Who Stare at Goats) will adapt Donna Tartt's The Goldfinch for the big screen, the Guardian reported, noting that the project is "now further along than any adaptation of The Secret History, Tartt's equally successful first novel." The film adaptation of Stephen King's The Stand will be four-movie event, according to director Josh Boone (The Fault in Our Stars), Indiewire reported, adding that Boone "revealed how his single movie version has now morphed into a massively-scaled quartet of films." "I really wanted to do an A-list actor, really grounded, credible version of the movie. I sold them on that and they hired me... I sold them on a single, three hour movie," he said. "I went and got King sold on it, everybody's really excited... I told the story non-linear and that was the way I was able to compress that book and get everything into that script..... So what happened is the script gets finished, I write it in like five months, everybody loves it, King loves it, $87 million is what it was budgeted at, really expensive for a horror drama that doesn't have set pieces." But then, Warner Bros. "wanted the project beefed up," Indiewire wrote. Boone said he "was willing to drop it in an instant because you're able to do an even truer version that way.... I'll just say we are going to do four movies, and we're going to do The Stand at the highest level you can do it at, with a cast that's going to blow people's minds. We've already been talking to lots of people, and have people on board in certain roles that people don't know about. We're looking to go into production next year, maybe in the spring." 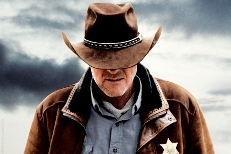 "Longmire fans' dedication to saving the show has paid off," Deadline.com reported noted in reporting that after weeks of negotiations, Netlflix has closed a deal for a 10-episode fourth season of the series, based on Craig Johnson's novels, to premiere in 2015. The development comes less than three months after A&E canceled the series, which "triggered one of the biggest outpourings of fan support ever for an axed TV series." Cast members, led by Robert Taylor and Katee Sackhoff, have all made their deals for Season 4. "When Warner Horizon Television came to us with the idea for a new season of Longmire, we were intrigued because the series is so unique, and consistently great," said Cindy Holland, Netflix v-p of original content. "We are thrilled to help continue Walt Longmire's story for his large and passionate following." This morning on the Today Show: James Patterson, author of Hope to Die (Little, Brown, $29, 9780316210966). He will appear tomorrow morning on Morning Joe, too. Also on Today: Robbie Rogers, co-author of Coming Out to Play (Penguin, $17, 9780143126614). Today on Fresh Air: Richard Zoglin, author of Hope: Entertainer of the Century (Simon & Schuster, $30, 9781439140277). He will also appear tomorrow on MSNBC's the Cycle. Today on the Diane Rehm Show: Dr. Robert L. Okin, author of Silent Voices: People with Mental Disorders on the Street (Golden Pines Press, $19.95, 9780996077705). Today on the Talk: Brooke Shields, author of There Was a Little Girl: The Real Story of My Mother and Me (Dutton, $26.95, 9780525954842). She will also appear tomorrow on Diane Rehm. Today on CNBC's Closing Bell: Walter Isaacson, author of The Innovators: How a Group of Hackers, Geniuses, and Geeks Created the Digital Revolution (Simon & Schuster, $35, 9781476708690). Tonight on Late Night with Seth Meyers: Aasif Mandvi, author of No Land's Man (Chronicle, $22.95, 9781452107912). He will also appear on Better TV. Tonight on a repeat of the Daily Show: Wendy Davis, author of Forgetting to Be Afraid: A Memoir (Blue Rider Press, $27.95, 9780399170577). Tomorrow on Rachael Ray: Russell Brand, author of The Pied Piper of Hamelin: Russell Brand's Trickster Tales (Atria, $19.99, 9781476791890). He will also appear on Live with Michael and Kelly. Tomorrow on the Wendy Williams Show: Clinton Kelly, author of Freakin' Fabulous on a Budget (Gallery, $16, 9781476771359). Tomorrow night on the Tonight Show: Bill O'Reilly, co-author of Killing Patton: The Strange Death of World War II's Most Audacious General (Holt, $30, 9780805096682). Tomorrow night on a repeat of the Daily Show: John Cleese, author of So, Anyway... (Crown Archetype, $28, 9780385348249). Tomorrow night on a repeat of the Colbert Report: Senator Kirsten Gillibrand, author of Off the Sidelines: Raise Your Voice, Change the World (Ballantine, $26, 9780804179072). The Blood Telegram: Nixon, Kissinger and a Forgotten Genocide by Gary Bass (Knopf) has won the 2014 Cundill Prize in Historical Literature at McGill, which carries an award of US$75,000. The organizers said that the book "provides the first full account of Richard Nixon and Henry Kissinger's secret support of Pakistan in 1971 as it committed shocking atrocities in Bangladesh, which led to war between India and Pakistan, shaped the fate of Asia, and left major strategic consequences for the world today." The finalists for the Books for a Better Life Awards, sponsored by the New York City--Southern New York Chapter of the National MS Society, have been set, with five in each of 10 categories, and can be seen here. Winners will be announced during an awards ceremony in New York City on March 23. The event, hosted by TV's Meredith Vieira, will honor Dr. Mark Hyman, founder of the UltraWellness Center and director of the Cleveland Clinic Center for Functional Medicine, and Mark Tauber, senior v-p and publisher of HarperOne. Harriet Bart and her longtime collaborative partners, printer Philip Gallo and binder Jill Jevne, have won the 2015 Minnesota Book Artist Award for a new piece entitled Ghost Maps. Sponsored by Lerner Publishing Group and presented with Minnesota Center for Book Arts, the award recognizes "a Minnesota book artist or book artist collaborative group for excellence of a new artistic work, demonstrated proficiency and quality in the book arts through three pieces of supporting previous work, as well as an ongoing commitment and significant contributions to Minnesota's book arts community." An exhibit of Bart's work in collaboration with Gallo and Jevne will be on display December 12-January 25 in the Cowles Literary Commons at the Open Book building in Minneapolis. "You're never gonna be any good as a poet…. You'd better become a publisher," Ezra Pound told a young Jim Laughlin. Laughlin hoped to become a poet--and he did turn out to be a pretty good one--but Pound's words were prophetic. As Ian S. MacNiven (Lawrence Durrell) ably demonstrates in this impeccable biography, Laughlin was a born publisher, whose work "shaped English-language modernist poetry." More than any other man in the 20th century, "he directed the course of American writing." He was more than just his career, though: Laughlin was a recluse, an excellent skier, an adventurer, an idealist, a lover, a fine poet--a man who lived passionately. Thanks to a wealthy family, he could go to the finest schools. At Choate, he made regular book purchases of all the new writers from the Gotham Book Mart. At Harvard, he joined the Advocate, which published work by his fellow classmates: e.e. cummings, T.S. Eliot, Wallace Stevens and Edwin Arlington Robinson. Still at Harvard, he took a $10,000 family inheritance ($2 million in today's dollars) and used it to found a publishing house, New Directions. In a letter to his Aunt Leila, he wrote: "I have a new direction and an increased confidence." In 1936, he published his first book, an anthology he designed himself, under this imprint. He thought it his "exhibition gallery" for "untested writers." It included Pound, Henry Miller (who became a life-long friend), Elizabeth Bishop and William Carlos Williams. Laughlin went on to publish small pamphlets of new writers that sold for $2. He began using the now-famous colophon for his books based on Heinz Henghes's statue of a centaur. He secured the U.S. rights to Pound's works from Faber and Faber and published Dylan Thomas's Portrait of the Artist as a Young Dog. He drove around the country personally selling copies of his books to bookstores. Next came Federico García Lorca, Henry Miller and Delmore Schwartz's translations of Arthur Rimbaud. Tennessee Williams followed, then Vladimir Nabokov. Laughlin was one of the first to do simultaneous cloth/paper publications and to cash in on paperbacks at a low price--Goethe, Rilke and Brecht--for college class adoptions. Shelf Talker: An insightful and thoroughly enjoyable biography of one of the greatest American publishers of the 20th century. In Friday's obituary note for trans-activist Leslie Feinberg, we erred using the pronoun "he." As the Advocate's obituary pointed out, Feinberg "preferred to use the pronouns she/zie and her/hir for herself, but also said: 'I care which pronoun is used, but people have been disrespectful to me with the wrong pronoun and respectful with the right one.' " Our apologies for the mistake. Stand Up Comics is a regular column by Adan Jimenez. These titles need no introduction: just read the column, then read some good comics! Corrina has been working at an advertising agency in the big city since graduating college. An English literature major, she thought she would work there just until she paid off her school loans and then write novels, but she hasn't written anything besides copy in five years--and writing copy for a perfume targeted at nine-year-old girls may be her breaking point. She hasn't made many friends in the city and doesn't go out much, but she has her eye on a freelance photographer who is also becoming disillusioned with the advertising world. Occasionally, Corrina shoplifts magazines from a chain convenience store to de-stress. She even has a six-step process to make sure she doesn't get caught. Corrina is an extremely likable character, not just for fine arts majors, but for everybody. Her dreams have taken a back seat to the practicalities of life, and she is going through the motions, just like Brandon Flowers says: "And the weeks fly by and the years roll on/ Sometimes dreams are all you got to keep you going when the day gets long/ And you gave up so many just to make a livin'/ That clock up on the wall was a-tickin.' "
Cho has perfectly encapsulated the often difficult balance between doing what you want and doing what you have to do, including some of the consequences of going too far in either direction. The ending may be a bit pat, but Cho's two-toned art and his double-page cityscapes more than make up for the slight deficiency in storytelling. Handselling Opportunities: Anybody who has ever had to put their dreams on hold for practical reasons. Liz Climo has been an animator for the Simpsons for about 10 years and has occasionally posted short comics on her Tumblr that feature anthropomorphized animals in everyday situations that she makes hilarious with her irreverent wit and simple art. This book contains some of those comics. Every comic is four panels or less, with the most common construction being two panels: the set-up and the punchline. From friendly bears and rabbits cracking wise, to a dinosaur father hanging out and being annoyed by his kid, to sloths being sloth-like, every comic is hilarious, insightful or both. The book is divided into four sections (Love and Friendship, Holidays and Celebrations, Family, Daily Life); my favorite sequence comes in the Holidays and Celebrations section, where multiple comics are devoted to how different types of animals hide for and react to surprise parties. You'd think the joke would wear thin after the first few comics, but you'd be wrong. Handselling Opportunities: Anybody who needs a good laugh. Grant McKay is a genius scientist responsible for the creation of the Pillar, a device capable of traversing through the Eververse. Every dimension ever created by every decision of every living creature is now open to humanity. The dimension in which the cure for cancer has been discovered, the dimension in which stable, clean, renewable energy exists, the dimension in which the Beatles never broke up can all be visited and traded with. Every problem can now be solved because it has already been solved somewhere in infinity. Grant McKay is also a horrible human being. He is sleeping with his colleague Rebecca while he ignores his wife, who is at home raising their children on her own. He has no respect for authority, even when they fund his projects. He brings his children to the lab, where his dangerous work is being carried out. He is arrogant, he is selfish, and he is impetuous. And then the Pillar is sabotaged and starts jumping through dimensions randomly. Remender has an incredibly fertile imagination, which is on full display in the first volume of Black Science. McKay, his children, Rebecca and his other team members travel through worlds in which fish people are at war with frog people, technologically advanced Native Americans have invaded the European continent, and gaseous entities use advanced monkeys as their vessels. This is all brought to life in the beautiful painted art by Scalera and White, who can handle fish exotic dancers, Navajo mecha and a monkey nursery with equal awesomeness. What brings all this together are the group members dragged across the Eververse: Grant and his children, Pia and Nate; Rebecca, his mistress; Ward, the security expert who owes Grant his life; Shawn, Grant's protégé; Kadir, Grant's patron and all-around jerk; and Chandra, Kadir's second-in-command. They don't like each other very much, but they have to work together to fix the Pillar and get back to their home dimension. Handselling Opportunities: Anybody who enjoys modernized golden age sci-fi pulp with some interesting group dynamics. Reading with Pictures is a nonprofit organization founded by Josh Elder, whose purpose is to "get comics into schools and get schools into comics." Elder has dedicated his life to proving that comics can have educational value and to creating lesson plans for teachers to use comics in the classroom. This volume is the distillation of the organization's hard work. The book contains 15 stories in the subjects of language arts, science, mathematics and social studies, ranging from the histories of Galileo and George Washington, explanations of probability and figurative language to the embalmed head of Isaac Newton explaining the three laws of motion. The stories are educational, of course, but most of them are also incredibly fun and a hoot to read (though a few are a bit too educational). I myself learned a few things reading through the book (Washington didn't want to be president!?). Teachers can find lesson plans for the book online at www.readingwithpictures.org. Handselling Opportunities: Teachers, parents and, of course, children.